We spoke with tenor Lorenzo Rositano in anticipation of the must-see festive concert ‘Ciao Compare – An Italian Christmas’, presented by Riverside Theatre Parramatta on Friday, December 7. Performing alongside Rositano will be soprano Aimee O’Neill and all-round entertainer, Glenn Amer. The performance will include world famous and beloved Italian songs and arias sung in Italian and English, alongside some of the most popular and adored Christmas songs. The repertoire includes opera highlights by Mario Lanza and Dean Martin such as O Sole Mio, That’s Amore and more, as well as Christmas songs including The Holy City and O Holy Night amongst many others. Rositano, who was born in Sydney but whose mother is Calabrese and father is second-generation Italo-Australian, is eager for everyone to “come and enjoy some of your favourite tunes in this celebration of Italian music and Christmas songs”. Rositano is a lyrico, spinto tenor which means he has a warm and lively tone which lends to playing more romantic roles. He first discovered opera when he was seven years old. He was enamoured by the genre immediately on hearing a Pavarotti disc of his father’s. “It’s like it’s part of my DNA,” he said. Rositano’s sister actually bought him a cassette player and a Pavarotti cassette, which he played “on loop”. Rositano said that his sister got so sick of him playing the same song over and over that she broke the cassette and the player! But it was when he first saw Pavarotti performing on TV that he said to his mother: “I want to be like him”. He took singing lessons from when he was 11 or 12 and with his teacher, Trevor Brown, let his voice mature through classical singing and simple arias. In high school he was accepted into the Talent Development Project and went on to feature as a soloist for four consecutive years in The Schools Spectacular. Rositano said that when he’s on stage his heart starts beating fast and his breath increases, but he always manages to calm his nerves. He emphasised that opera singers are “actors as well”, and it’s important to perform even when eight cameras are pointing at you. Rositano went on to study at the Sydney Conservatorium of Music and holds a Masters in Opera. He made headlines in 2006 when he was selected by the Australian Olympic Committee to perform the Australian Anthem at the Winter Olympic Games in Turin, Italy. Rositano said that “to this day it’s still the best experience of my career”. He was extraordinarily proud to represent Australia while in his beloved Italy. Most importantly for Rositano was the opportunity to take his mother back to her homeland, which she hadn’t visited for more than forty years. “It was a whirlwind of emotions,” he said. 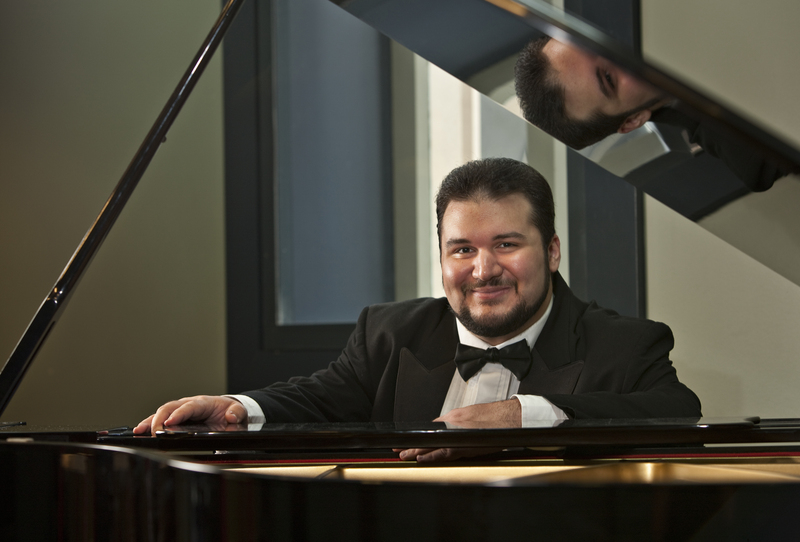 Rositano founded Western Sydney Opera in 2014, making it “his mission to bring opera more regularly to Western Sydney”. He said he was inspired by all the gorgeous small theatres he saw while touring in Italy. Western Sydney is an area that is extraordinarily diverse and rich in culture, and Rositano said that to involve all sorts of people in the productions is magnificent. “As someone from an Italian background who sings opera, it’s wonderful to bring it to public appreciation,” he said. ‘Ciao Compare – An Italian Christmas’ will be presented by Riverside Theatre Parramatta on Friday, December 7, at 7:30 pm. Head to the Riverside Parramatta website for tickets.